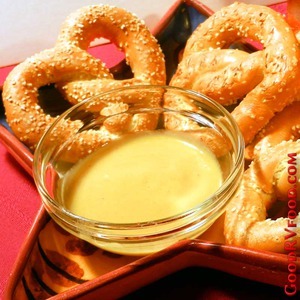 This is a quick and easy dip for any type of pretzel, hard or soft. 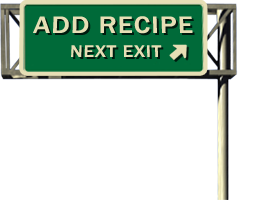 It works equally well on store bought pretzels from a box, fresh soft pretzels or even pretzel rolls from the local bakery or grocery store. Just mix and serve. Be sure to make more than you think you will need. It's addictive and a perfect instant treat for socializing with camp neighbors! In a serving bowl combine sugar with country style mustard until it is the sweetness you prefer. Aim for a balance between sweet and spice. You can use Dijon mustard but I refer the country or rustic style better. I like to serve with large sourdough pretzels like the ones from Trader Joes. Store any leftovers covered in the refrigerator for weeks.